Arrrrghhhh!! Nail Breakage!!! 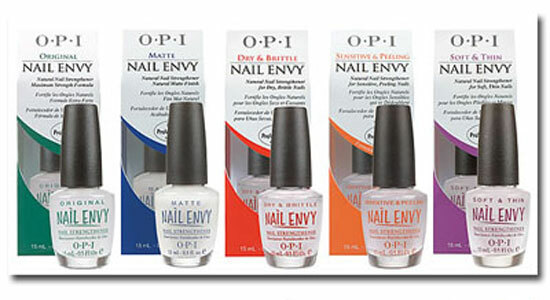 OPI Nail Envy to the Rescue! The worst thing happened last week -well, the worst thing if you love polish and do several NOTD's!! I used to have super strong nails and they never used to break. Since my health has gone a bit downhill, they started to go soft and break so easily. I asked my doctor about it and she said it was probably a combination of my health and the medication I'm on. So it looks like i have to make more of an effort to help them get stronger again. Not like a major thing in the whole grand scheme of things, i know that, but anyone who knows me, or reads this blog, know that i love polishes and doing NOTD's! So i asked a fellow Polish addict to do a nail post for me, which she kindly did and is fantastic and i cant wait to show you guys it. But i wanted to explain why there had been no NOTD's! I needed something to help my nails grow and strengthen. Ive used things in the past, but obviously haven't worked. Ive seen umpteen posts about OPI Nail Envy. In fact, i actually had one bottle, didn't even try it and just sold it on...whoops! The price can vary so much, so its worth looking around. The picture link takes you to Amazon where they have the original for £6.46 plus postage. Ive seen them on other sites for £15.99, so definitely look around for the best deal! Anyway, a really nice girl who I've done several swaps with in the past said she could send me a mini bottle of the Nail Envy. True to her word, it arrived a couple of days later, and I've been adding about 2 coats of it a day for the last two weeks. OMG -this stuff deserves the reputation it has!! My nails feel stronger, and have grown that little bit more that i can actually do a nail post which is what i plan to do later or over the weekend. I know it doesn't look a huge growth, but for a week, I'm pretty happy with it! I'm going to carry on using the Nail Envy, and have heard it can be used as a base coat, so that will be my base coat too, so it can continue to help my nails strengthen!! My nails feel a little bit stronger, and i have accidentally bumped them along the way, and no breakage!! And hopefully, some more NOTD's to be done!! I might try this as I'm having a terrible time with my nails too. Hormonal changes mostly I think. I used to have such nails. Now the split and peel all the time. I've been using this as a base coat & over the top of my polish for the last few weeks and I think my nails are getting stronger :) Great post!